The food extravaganza of Delhi makes it the food capital of the country. From the roadside stalls to exclusive restaurants, dhabas to lavish hotels, the most mouth-watering and exotic dishes are served. You can relish an endless range of cuisines, from Punjabi to Mughlai, South Indian to Italian, Continental, Mexican, Hyderabadi to Chinese and from Kashmiri to Japanese here. 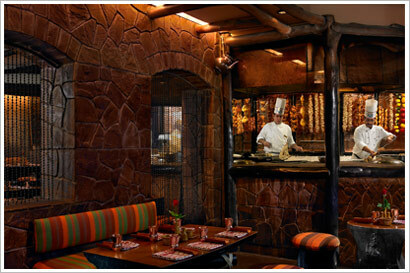 Bukhara is one of the best restaurants in Delhi. 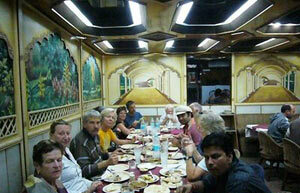 Its rustic atmosphere, amazing food like kababs and huge naan bread are well known. 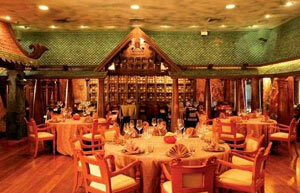 The food here is a harmonious blend of various flavors while maintaining its basic taste. The flavor, quality and stimulating taste of distinct recipes have not altered despite the rolling years. You will get perfectly garnished food items like Murgh Malai kababs, Sikandari Raan, Laziz Biryani, Tandoori Jhinga and on the whole you can relish the Mughlai cuisine here. 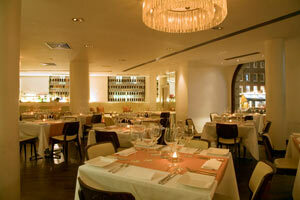 Punjabi by Nature is another place for wholesome, irresistible and original food in Delhi. It is a spectacular eating joint offering you Gol Gappas, Tandoori Prawns, Chicken Do Piyaza, Paneer Makhani and Dhai Ke Kabab and last but not least, Raan-e-Punjab. 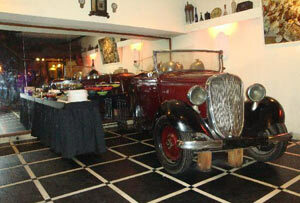 With Punjabi ambience, this big restaurant has stylish and graceful interiors. Karims: For all the food lovers, Karims is a favorite cost-effective eatery. You can enjoy a power-packed, healthy breakfast which is also one of its attractions. The specialties include Ravenous Barrah Kababs, tandoori Raan, Chicken Malai Kabas and Afghani Chicken. You can experience the Mughal style cooking and a classic non-veg meal at its best at the popular Karim Hotel. Park Balluchi: The House specials of this Indian barbeque restaurant include the grilled chicken marinated in saffron, squash stuffed with cottage cheese and herbs then cooked in a clay oven, and a kabab of cheese and vegetables. Spice Route: The dining area which is divided into nine sections is decorated so much so that the restaurant becomes a treat for the eyes in addition of the taste buds. Specialties include the lobster stir-fried with ginger and mushrooms in traditional Thai style or the chestnuts cooked in Sri Lankan curry. Moti Mahal Delux is a home for chicken lovers. Try chicken makhni or butter chicken stewed with tomatoes which is the specialty of the house. You can have the excellent chicken tikka tandoori and chicken curry. zippy pickled onions, and the rice seasoned with cumin comes with every meal. And you have the option of dining indoors or outside in the courtyard. Naivedyam: Naivedyam brings to you, a style of vegetarian cooking from South India as it serves traditional Udupi cuisine. A pepper-spiced soup called rasam is served at the beginning of the meal. You can enjoy dosas, a rice “stir-fry” served with coconut chutney and tomato-y lentil stew. Saravana Bhavan is popular and you can enjoy a specialty Tamil Saravana which has a fast-food feel. You can relish dosas, idlis, fresh chutneys, sweets and cucumber-seed ladoos. You can try many southern specialties and finish your meal with a South Indian coffee. Chor Bizarre has mish-mash of nostalgic décor and furnishings. You can enjoy the fun decorations around while enjoying your wonderful meal. Kashmiri (Northern Indian) cuisine is the specialty here. You can have the lamb meatballs flavored with cardamom or the mutton stewed in yogurt, cardamom and anise. Rampur Kitchen: This little Muslim restaurant is tucked into a corner of the upscale Khan Market. Meal is served meals on copper plates and the house specialty is haleen. Try the delicious mutton kebabs, stewed chicken curry and the creamy rice pudding. All American Diner offers you, from buttermilk pancakes to hot dogs or you can try the Habitat’s cheap-and-cheerful food court Eatopia, with good chaat and also Chinese, Indian food. Café Coffee Day: You can loll and chat over endless cups of hot brew and brownies here. Even if want to quench even the most savage summer thirst, the icy granitas will do it for you. Chutney Bar + Tandoor offers you breakfast, lunch spot, dinner, reservations, after-hours and is fit for groups, business, local cuisine, special occasion dining, entertaining clients.